Sometimes you walk into a quilt shop, and you see something that tugs at your heart. 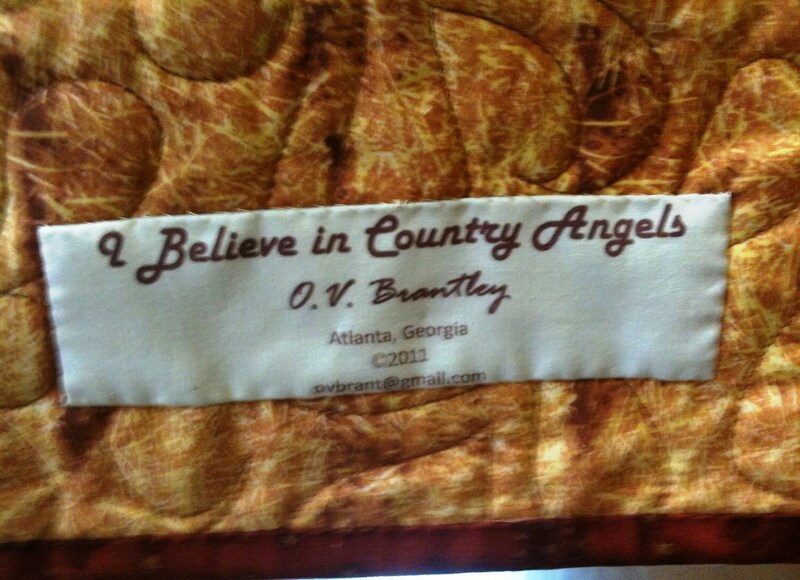 Such was the case for the center panel of my quilt "I Believe in Country Angels." 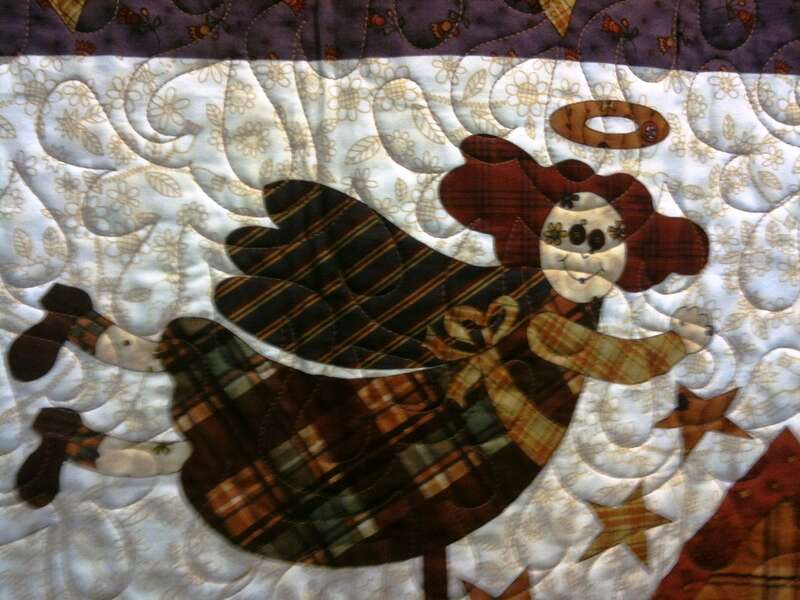 I fell in love with the angel in this quilt and had to take her home. After all, I am a country girl at heart, and I love angels. 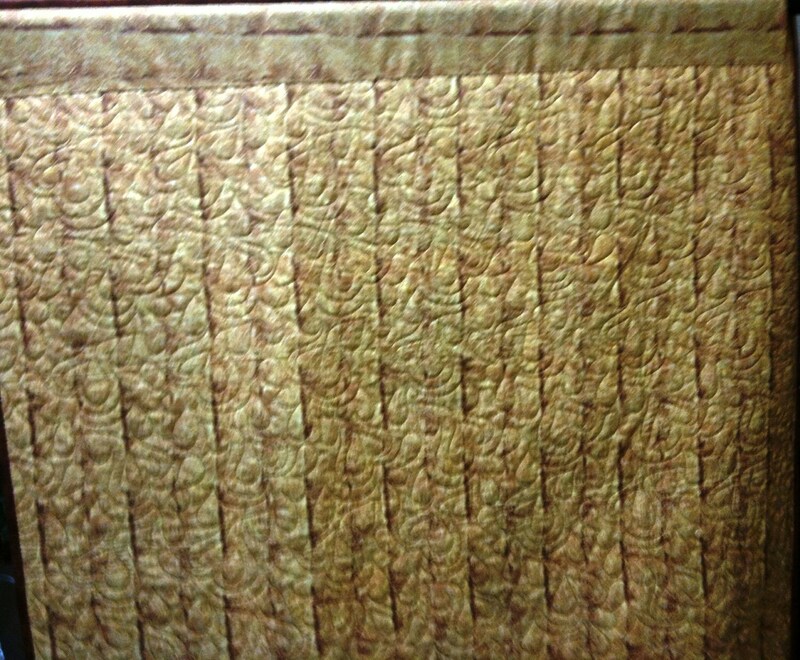 The quilt measures 42 x 53 inches. The dominant colors are rust and green. 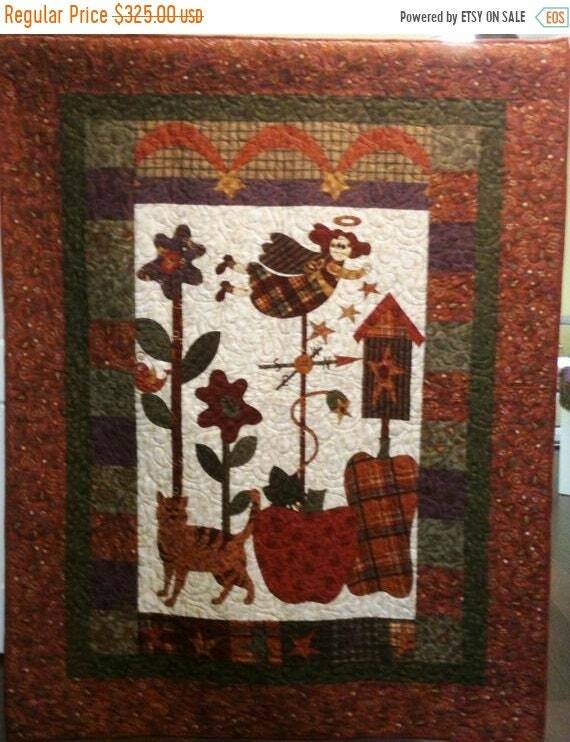 It is machine pieced and machine quilted. There is a hanging sleeve on the back and a label that documents the quilt. 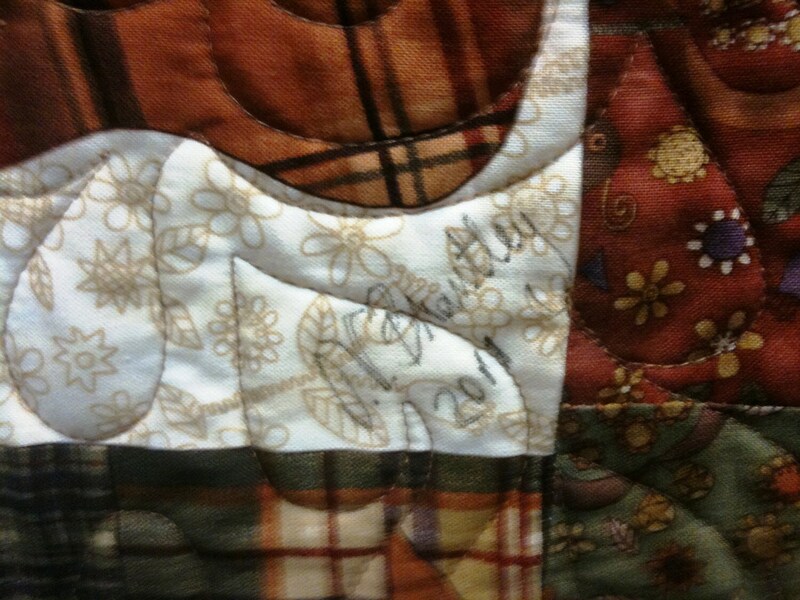 I signed the quilt on the front.